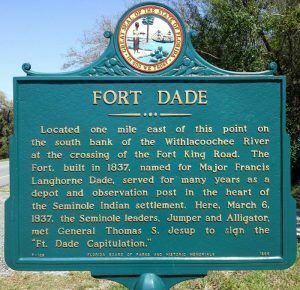 Fort Dade was a U.S. Army post established in December 1837 during the Second Seminole War in present-day Pasco County, Florida. The order was issued exactly one year after Major Francis F. Dade and his men of the 4th U.S. Infantry departed from the safety of Fort Brooke, never to return. 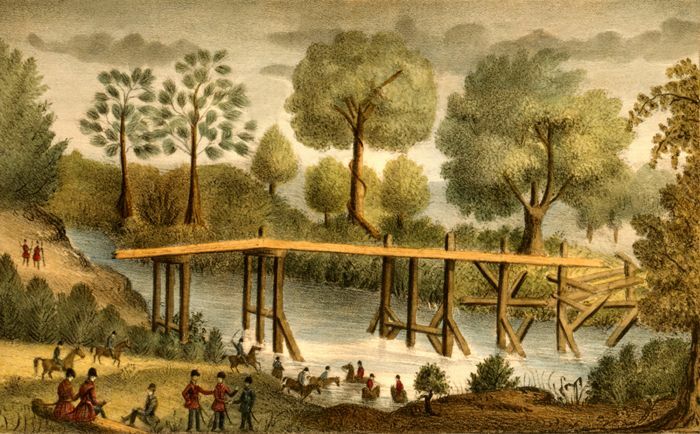 By Christmas Day, 1836, the 4th U.S. Infantry, under the command of Lieutenant Colonel William S. Foster, were busy building Fort Dade on the south bank of the Withlacoochee River at the crossing of the Fort King Road. It was named for Major Dade, who was also of the 4th U.S. Infantry, who died in December 1835 in the Dade Massacre. Also killed were his entire command of 107 troops, with the exception of three soldiers. Supplies were sent up from Fort Brooke, and after two weeks, the fort was beginning to take form. When complete, the fort included blockhouses, barracks, storerooms, and a hospital. When the war finally ended in May 1842, Ford Dade became less significant and was used for shorter and shorter periods, until it was abandoned in 1849. 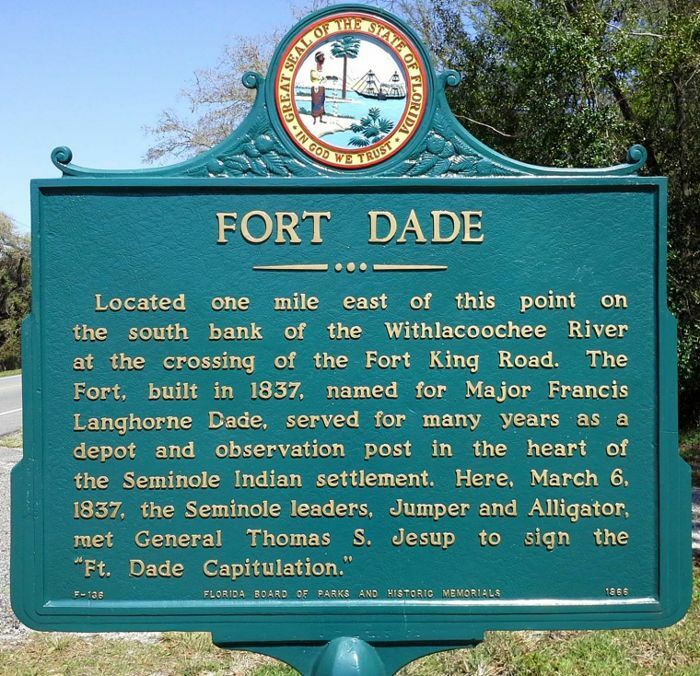 There is nothing left of the fort today, but the site is indicated by a historical marker located on the East Side of U.S. Highway 301, seven miles north of Dade City, Florida.